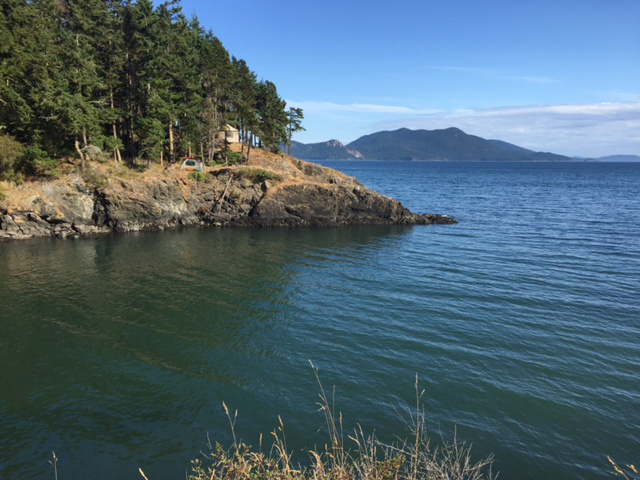 Gratuitous shot of Doe Bay. Placid waters go hand in hand with quiet time for reading and writing. 16 posts, 15 to go. This year’s edition of Voices of August once again fills me with pride. As I look back on two weeks and two days worth of posts, I am amazed at the breadth of talent and humanity revealed through this annual guest blog project. In the midst of busy lives and countless distractions, I am grateful that these writers carve out time to knock out an essay that invariably makes us think, laugh, cry and react. That so many of them have broad appeal, regardless of the writer’s age, occupation or location, is immensely satisfying. It’s never too late to go back and add a comment, either to the post itself or on social media. This entry was tagged doe bay, voa 5.0. Bookmark the permalink. Thanks again, George, for inviting me to be a part of VOA. It was refreshing to write again and I’ve had such lovely feedback from the piece. The entire series has been inspiring. George – You already know how much I appreciate VOA and that it lifts me up each year. Thank you again for including me each year!